Q. How do I create my Library Express Account? Library Express is a suite of services that provides access to materials that are available at EKU Libraries and libraries throughout the United States. This service is free and is ONLY available to current EKU students, faculty, and staff members. 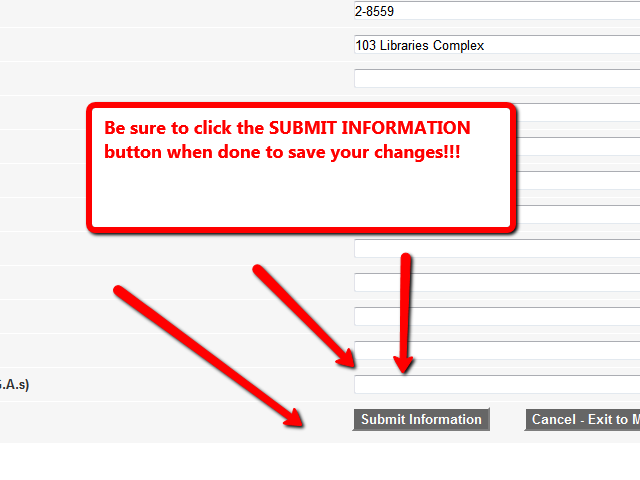 Click on the Library Express link located on the EKU Libraries homepage. 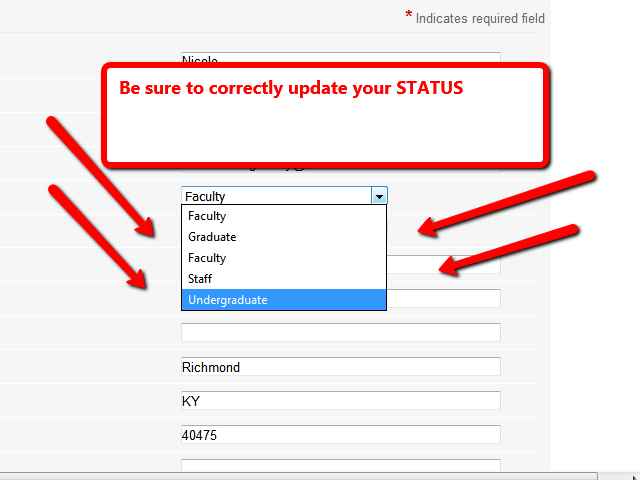 Log in using your EKU username and password. Complete the Personal Information Form. 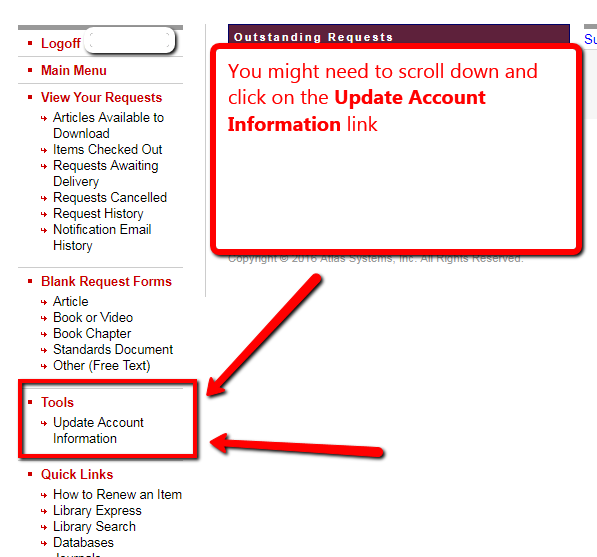 *If you are not taken automatically to the Update Personal Information Screen, scroll down to the bottom of the Library Express homepage and click on the Update Account Information link. Note that there are options for on-campus, regional and online-only students! Tip! This is especially important for online only and regional campus students as any print items will be mailed to the home address!